I’m still behind on telling you about some read so I thought I’d do another quick catch up post. This time it’s on several thrillers that I enjoyed. When beautiful Edith Hind, a university student and daughter of a prominent family goes missing, there are few clues for DS Manon Bradshaw and her team. Keys and phone left behind and no forced entry. So what could have happened to Edith? The investigation leads Manon to question the handsome boyfriend, the best friend and the upstanding parents. They all have alibis but as Manon digs deeper into the mystery she realizes that they all have secrets to hide. This was more of a police procedural than a thriller but it was good and I especially liked Manon who is a bit quirky but relatable. Jack and Grace seem to have it all. They are wealthy, handsome and charming. Surely they are the perfect couple but one of their recent acquaintances and neighbors doesn’t think that life is all that perfect. She decides to invite Grace out for lunch and to see if she can find out more about her. Graces wishes she could meet with her new friends but Jack never lets her out of his sight. She knows that most women would find him a doting husband and such a kind one too, who cares for her disabled sister, but can they guess at the secrets that are hiding behind closed doors? This was a great thriller and definitely kept me turning the pages. Sure there were some moments where you had to suspend belief but it still worked for me. The first pages of this thriller really grab the reader as a plane full of passengers is on its way from Stockholm to New York City and a bomb threat is discovered on the plane. The demands call for the U.S. and Swedish government to cooperate all the while knowing that time is ticking away. Heading the Swedish investigation are Fredrika Bergman and Alex Recht. The stakes are high on such a case but for Alex it’s also personal as his son is the co-pilot. The team must find out who is making the demands and can the U.S. counterparts be trusted. Great twists and even though it tops at 400 pages, this one flies by as you turn the pages to see what happens next. Would love to hear what you think of these. Have you read any of them or are they on your TBR list? Wow, all these books sound so good! 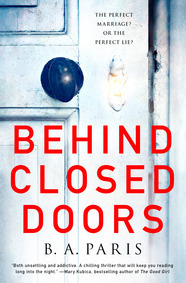 I’m very intrigued by Behind Closed Doors as I’ve read nothing but great things about it. I didn’t care much for Missing, Presumed, but I really liked Hostage–and Ohlsson’s entire Bergman & Recht series! I have not read any of them, but I own 2 – Behind Closed Doors and Missing, Presumed. Actually, I think I’m most drawn to Hostage. Must see if the library has it. I have Missing, Presumed, but haven’t read it yet and have heard of Behind Closed Doors and have that on my wishlist. 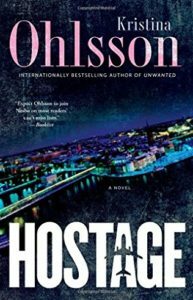 I would like to read Hostage, but was wondering if you had to have read other books in her series to appreciate the story. I’m assuming this isn’t a stand-alone. Thanks. Melody – I hope you get a chance to check it out. I think you might enjoy it! Jenclair – I know how much you’ve enjoyed the Ohlsson series! I definitely want to check out more of those books. Kay – It is a page-turner! Hope the library has it. 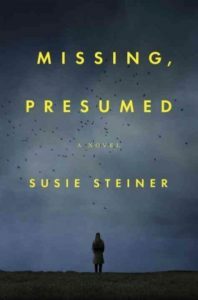 Rita @View From My Books – That’s right, it’s not a standalone and typically I prefer to read mysteries in order but I think this one works ok as a standalone. 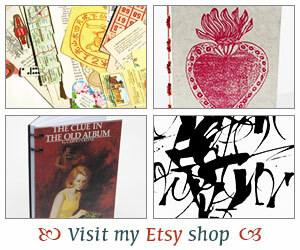 Hope you get a chance to check it out! I love to read plane thrillers! I hope I never sit on a plane with any kind of drama happening but I am all for reading books and watching movies about it. I will have to check out Hostage.